Sun Prairie Action Resource Coalition (SPARC) was pleased to sign on to a recent letter with a large coalition of state-wide health, human services, and community organization s calling on U.S. Health and Human Services Secretary Kathleen Sebelius to ensure that as many Wisconsinites as are legally eligible fully benefit from recent changes to health care law. The letter asks the Secretary to make a formal ruling to clearly define what “newly eligible” means to Wisconsinites who either participate in, or are eligible for, Medicaid waiver programs like BadgerCare Plus. The letter was a companion to this letter to Governor Walker and members of the Wisconsin legislator, calling on them to fully enact the Affordable Care Act‘s provision to expand Medicaid coverage to Wisconsinites with incomes up to 133% of the poverty rate. This Washington Post graphic emphasizes the dramatic reduction of uninsured Americans under the Affordable Care Act. This expansion both saves the state money and improves the quality and access to healthcare for struggling Wisconsin families. Adopting the intended definition of “newly eligible” (as defined by Senators Kohl and Feingold in the colloquy attached to the letter linked above) would mean that Wisconsinites who currently qualify for, but do not receive, BadgerCare Plus benefits (because enrollment has been frozen), would be eligible for coverage under the new law. SPARC proudly supports these efforts to ensure that all Wisconsinites have full and equal access to health care as provided under the new law, and encourages our legislators to act quickly to secure these much-needed benefits for struggling and working-class families and individuals in our community. The full text of the letter, co-signed by SPARC is pasted below. 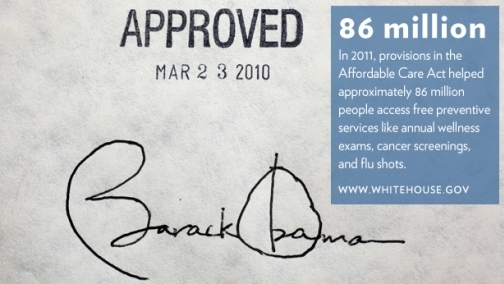 Click here for more information on the Affordable Care Act. A significant factor for Wisconsin policymakers as they consider expanding our Medicaid program is whether the “newly eligible” group includes Wisconsin residents with incomes up to 133% of FPL who now participate in or simply qualify for the state’s BadgerCare Plus Core program, a general purpose revenue (GPR)-supported Medicaid waiver program. As you know, if a person is “newly eligible,” then the state qualifies for a 100% federal matching rate (FMAP) from calendar years 2014 through 2016, a 95% rate in 2017, 94% in 2018, 93% in 2019, and a 90% rate in 2020 and later. Thus, whether those who now participate in or simply qualify for BadgerCare Plus Core are included in the “newly eligible” group will have a considerable impact on Wisconsin taxpayers. We believe that Congress’s clear intent was to treat all of Wisconsin’s eligible non-caretaker adults with incomes up to 133% of FPL as “newly eligible,” including those who participate in or qualify for the BadgerCare Plus Core program. Attached is a colloquy on Wisconsin’s “newly eligible” from the Congressional Record that Senators Kohl (D-WI) and Feingold (D-WI) engaged in with Senator Baucus (D-MT), the Chairman of the U.S. Senate Committee on Finance and the Senate majority’s floor manager of the ACA. This colloquy occurred two days before the Senate approved the ACA. We believe this colloquy is an authoritative expression of Congress’ intent that the definition of “newly eligible” shall include those who are enrolled in or simply qualify for Wisconsin’s Badger Care Plus Core program. We urge you to issue a rule quickly on the definition of “newly eligible” that reflects Congress’s intent. The sooner you confirm that Senator Baucus’ explanation on the Senate floor is also your Department’s position, the sooner Wisconsin (and other states) will be able to move forward to expand Medicaid coverage to hundreds of thousands of low-income Americans. Community Action Coalition for South Central WI, Inc.
Wellness Center of Door County, Inc.